Cold therapy aids in slowing circulation and metabolism to the injured area. The swelling that typically occurs is a result of the pooling of blood around the injury due to the trauma delivered to the cells and tissues. By applying cold therapy as soon as possible, you reduce the blood flow and swelling. This will mean less muscle spasm and less pain. Another essential part of cold therapy is compression. Compression is the practice of wrapping or bandaging the injured area of the body to give added support. 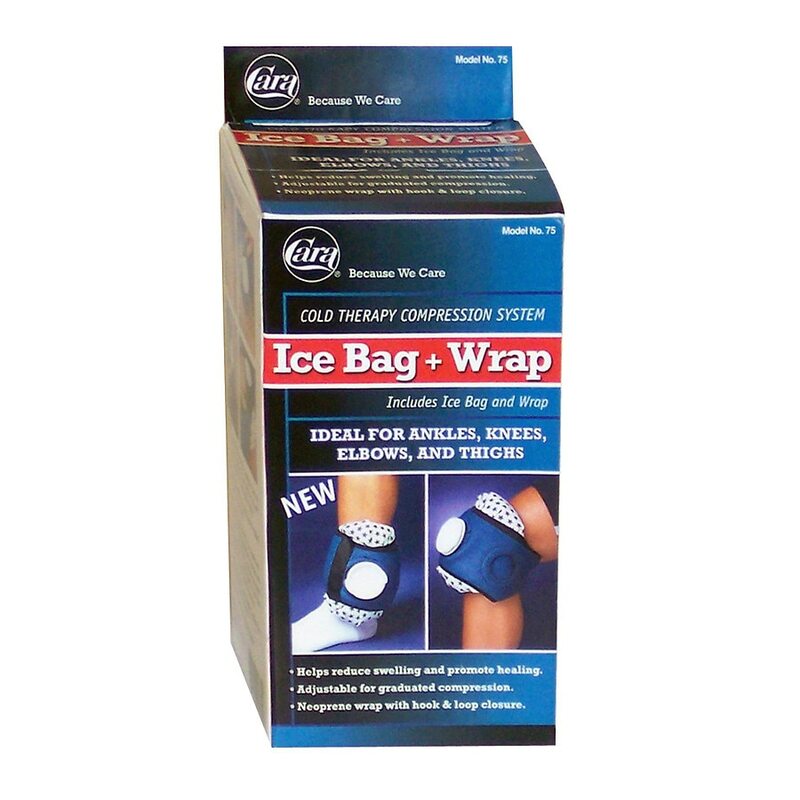 If swelling is present immediately after injury has occurred, apply cold therapy. Cold therapy should be applied as follows: on for 20 minutes, off for 2 hours and repeat. A simple rule to follow for cold therapy is the R.I.C.E. rule: Rest - stay off the injury; Ice - apply cold therapy; Compression - use a support wrap or plastic bandage; Elevation - keep injury in a raised position. Rinse ice cubes first before placing in bag to prevent sharp edges. Fill ice bag 3/4 full with cubes or crushed ice. Twist cap on tightly. Place the head of the ice bag through the stand alone opening of the wrap. Place the ice bag on the area to be treated and complete the wrapping procedure. Choose one of three (3) openings that provides the most comfortable level of compression. Place the head of ice bag through this opening. Using the hook and loop fastener, adhere the end to the wrap for a secure fit. To clean wrap, wash gently with mild soap and air-dry. Drain ice bag and air-dry before replacing wrap. It should be noted that the application of cold therapy in excess of 20 minutes at a time may cause additional swelling. Always consult a doctor if pain and swelling continue. Some individuals may be sensitive to the neoprene used in this product. If soreness or rash occurs, discontinue use immediately and consult your physician. Do not wear while sleeping. This product contains natural rubber. 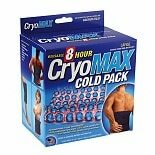 Cryo-Max Cold Pack with Sleev...1 ea.